50Cent is one of the few celebs you should never pick a fight with. The rapper who has a special talent in trolling people, has successfully trolled the likes of Vivica Fox, Tyrese, his baby mama Shaniqua Tompkins, his son Marquise Jackson, etc. The one person he never seems to get over is Wendy Williams. The rapper drags the chat show host on weekly basis. It was time to make up with Wendy Williams it’s 2018 a New Me. Clicked to watch and what can we say? 50 Cent is the king of petty. 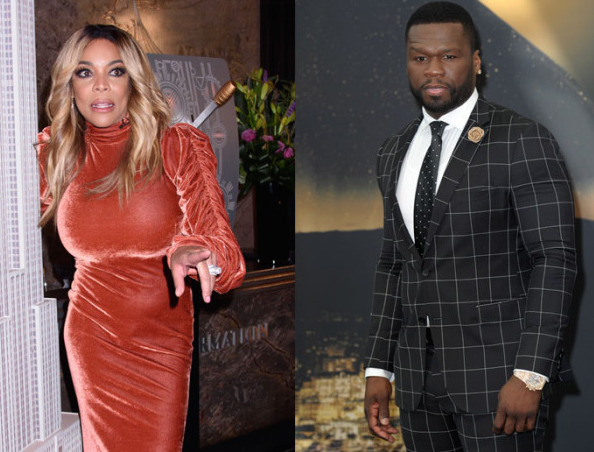 Recall that the feud between the rapper and the chat show host started in October 2017, after Wendy bashed him on her show for being a deadbeat dad. 50 Cent has since not gotten over it and has used every opportunity he has to call her out.